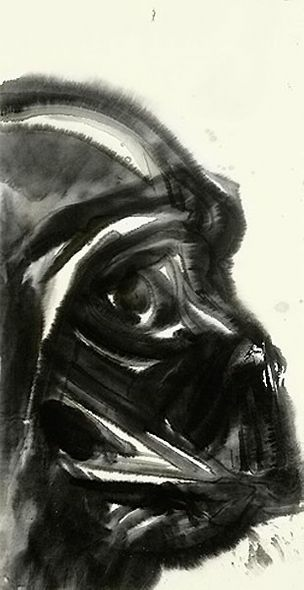 Yoshitaka Amano Star Wars Limited Edition Giclee on Paper: "Darth Vader"
Image Size 24" x 12.25". Overall Size 25" x 13.25". Yoshitaka Amano is a Japanese artist, character designer, illustrator and a theatre and film scenic designer and costume designer. He first came into prominence in the late 1960s working on the anime adaptation of Speed Racer.